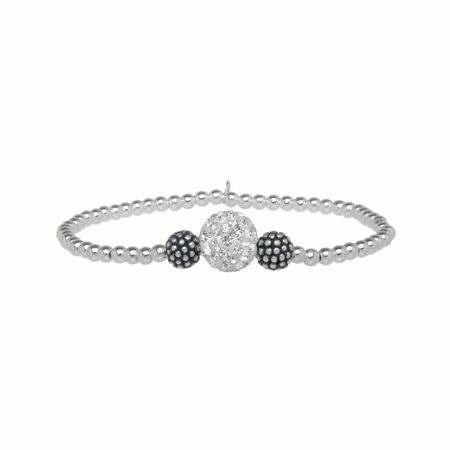 From dawn to dusk, give off effortless glamor with this sterling silver-beaded bracelet. A dazzling Swarovski crystals pavé ball illuminates this sleek silhouette for look that's just as elegant as it is playful. Piece measures 6 1/8 inches un-stretched.